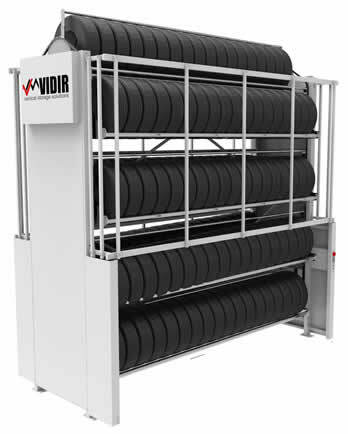 The Vidir Tire Carousel is a motorized vertical carousel designed for high density storage and retrieval of tires. 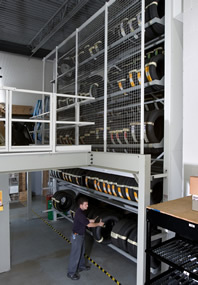 The storage system can be semi or fully automated and will maximize overhead space to save up to 70% of your floor space with every tire accessible at the touch of a button. The Vertical Carousel delivers tires directly to the operator at an ergonomic height reducing chances of injuries from lifting, bending, and pulling at sub-optimal positions. 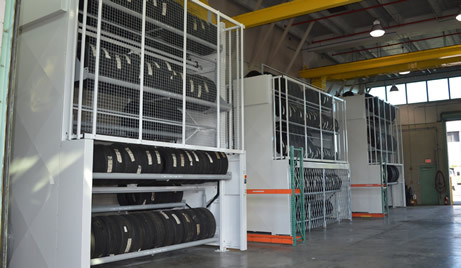 Up to 352 tires can be stored on a single std. carousel. Accommodates tires up to 44” in std. models. Store tires with or without rims. 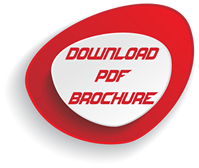 Semi or Fully automated systems available. Saves up to 70% of your floor space. Improved security with security keypad and optional security gates. “The problem that we were having is that when we were stacking tires on the ground, it was a work compensation issue. Guys would bend over and hurt their backs. The other issue was beading the tires, when tires get squished it is very difficult to get them back on the rims. 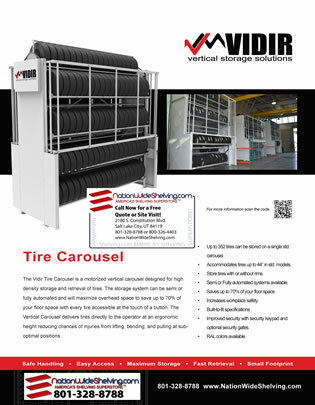 What I like most about Vidir’s carousel, is that it not only solved our problems but it holds a lot of tires in a minimum amount of square footage. I would recommend that anyone who has a tire storage issue buy one." 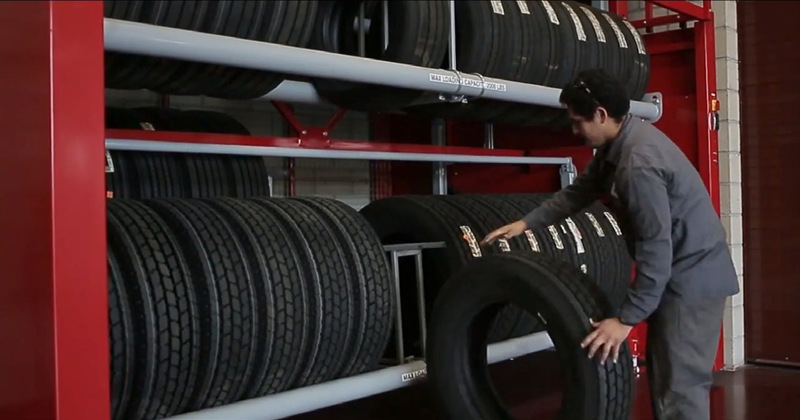 “Before we got our Tire Carousel in here I could only store 100 tires because we could only stack tires 8 high. 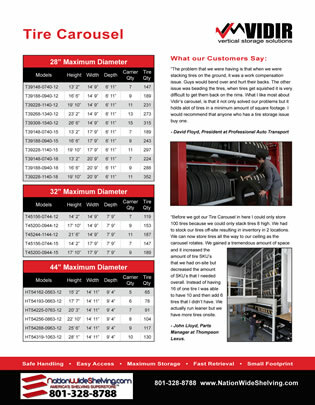 We had to stock our tires off-site resulting in inventory in 2 locations. We can now store tires all the way to our ceiling as the carousel rotates. We gained a tremendous amount of space and it increased the amount of tire SKU’s that we had on-site but decreased the amount of SKU’s that I needed overall. Instead of having 16 of one tire I was able to have 10 and then add 6 tires that I didn't have. We actually run leaner but we have more tires onsite."